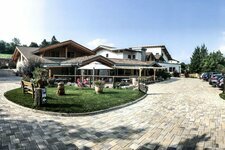 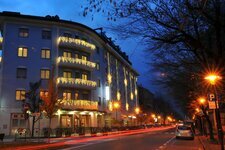 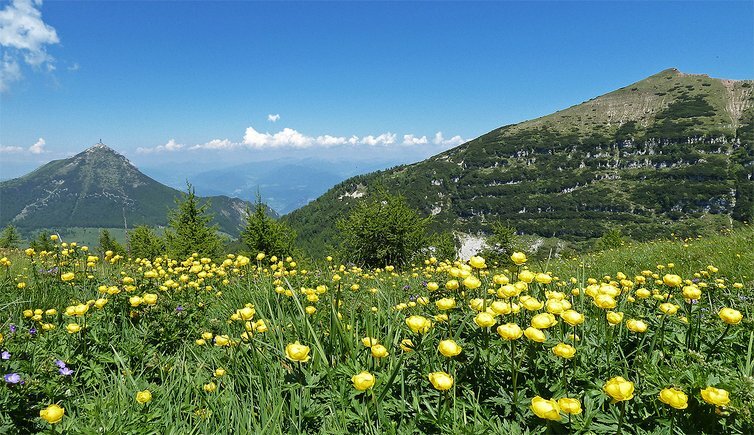 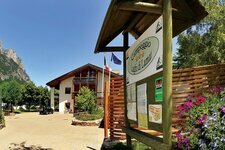 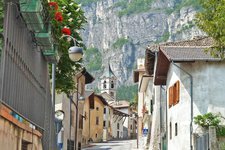 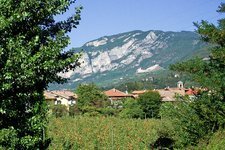 Trento, Monte Bondone, Valle dei Laghi and Rotaliana - a fantastic area which has a lot to offer. 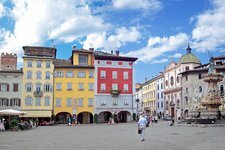 Live webcam View over the city of Trento. 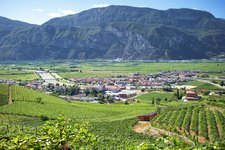 The area of the Val d’Adige valley, extending along the Adige river, is characterized by a wide valley bottom, flanked by high mountains. 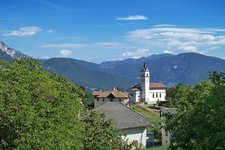 Always has this valley been the connection between north and south, in other words between Italy and Central Europe. 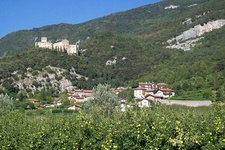 The bottom of the valley ranges from 190 to 220 m asl and is mainly characterized by agriculture and almost completely covered by apple trees and vineyards. 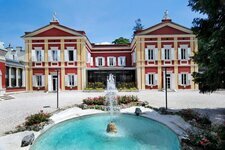 Above all the Rotaliana plain is famous for its delicious awarded wines. 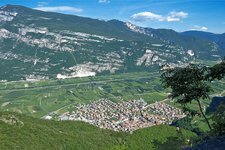 The city of Trento is located at the foot of Monte Bondone, also called the “mountain of the inhabitants of the Trentino”. 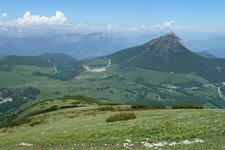 It is a famous skiing area in winter and ideal for hikes in summer. 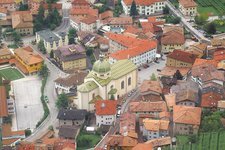 The ancient archiepiscopal city today has got more than 100,000 inhabitants and its historic and charming centre every day attracts thousands of people from all over the world. 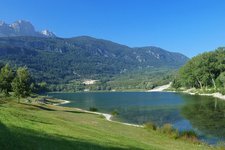 In the west of Trento, between the Bondone and Paganella mountains, there is the Valle dei Laghi valley, called the “valley of lakes”, extending to Lake Garda. 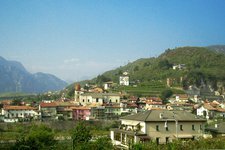 The landscape, also characterized by vineyards and fruit orchards, is particularly enchanting thanks to its multitude of lakes including the Toblino, Terlago, Santo and Lamara lakes as well as the Santa Massenza and Cavedine lakes. 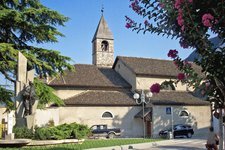 The antique village of Cimone, dating back to 1200 AD, has preserved its unique structure.